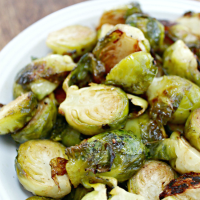 Delicious oven roasted brussel sprouts that even the pickiest eaters will love! I’ve always loved brussel sprouts! My mom used to make them when we were kids, but to be honest, my family doesn’t love them, so I haven’t made them in many years. I had them at my friend Mary Beth’s recently, and now I’m hooked again! She made hers on the grill, but I want to show you how easy they are to make in the oven. They come out caramelized and delicious with very little effort! Start with 1lb or more of fresh brussel sprouts. But each brussel sprout in half and place in a casserole dish or on a cookie sheet. 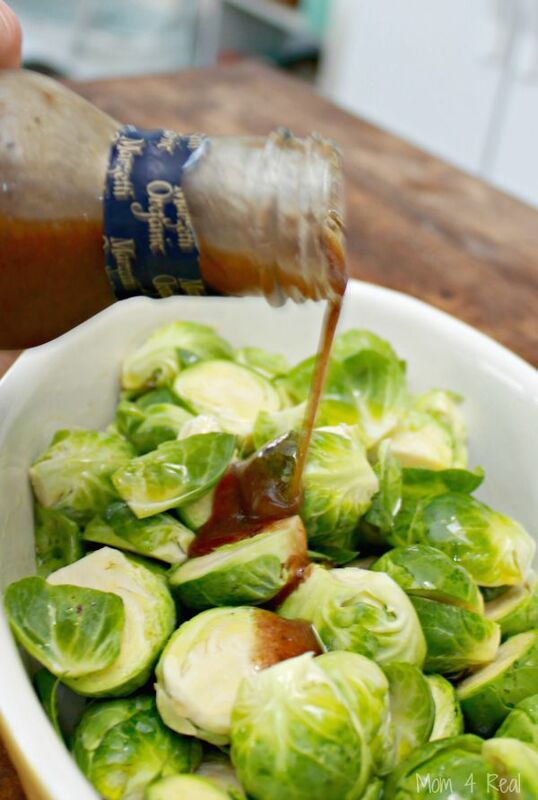 Next, add 2 tablespoons of either balsamic vinegar or balsamic dressing and a sprinkle of salt and pepper. Stir together to coat. Preheat oven to 400 Degrees. 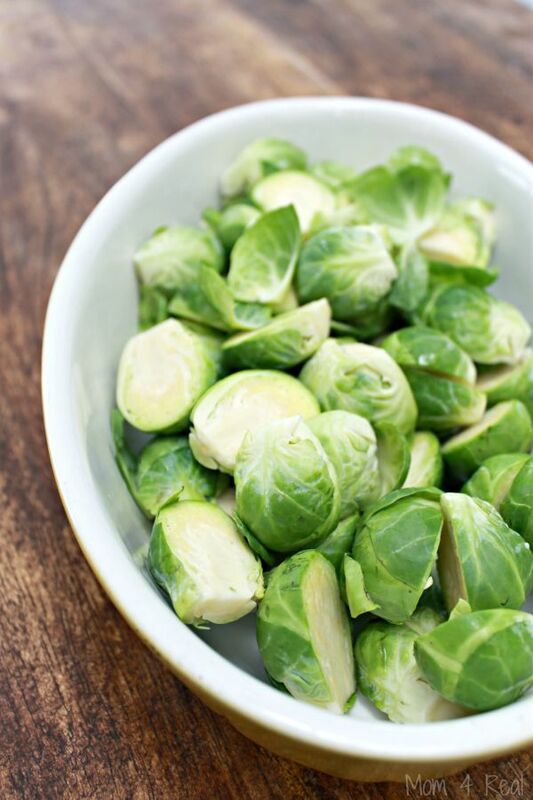 Cut each brussel sprout in half and place on a cookie sheet or in a casserole dish. 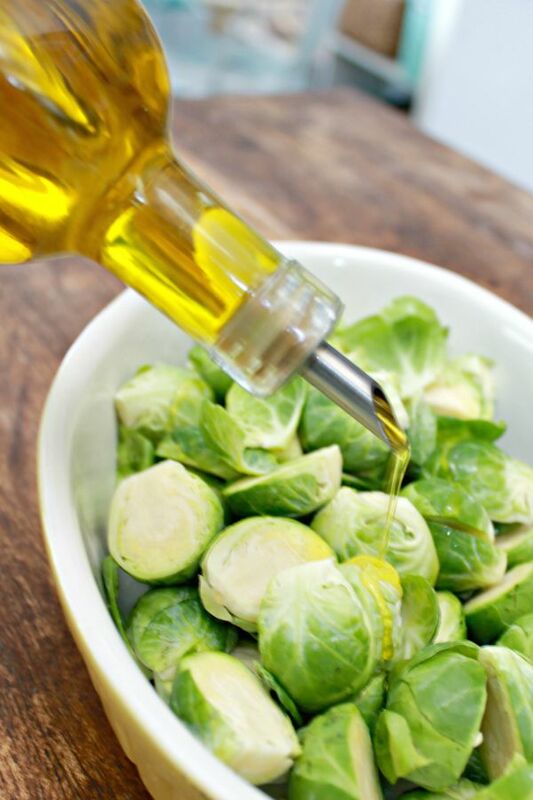 Coat with Olive Oil and Balsamic, then sprinkle with salt and pepper. Place in oven for 20-25 minutes. 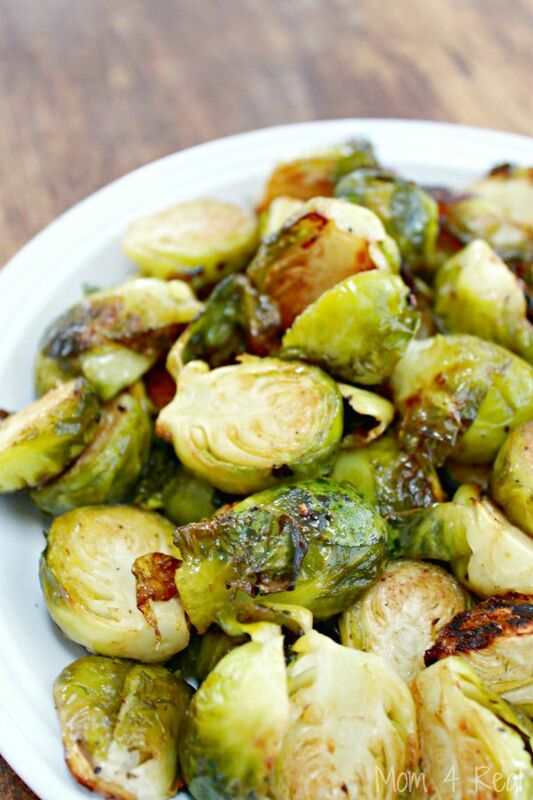 These brussel sprouts are so delicious and perfectly caramelized…even the pickiest eater will love them! You can find more of my recipes HERE!